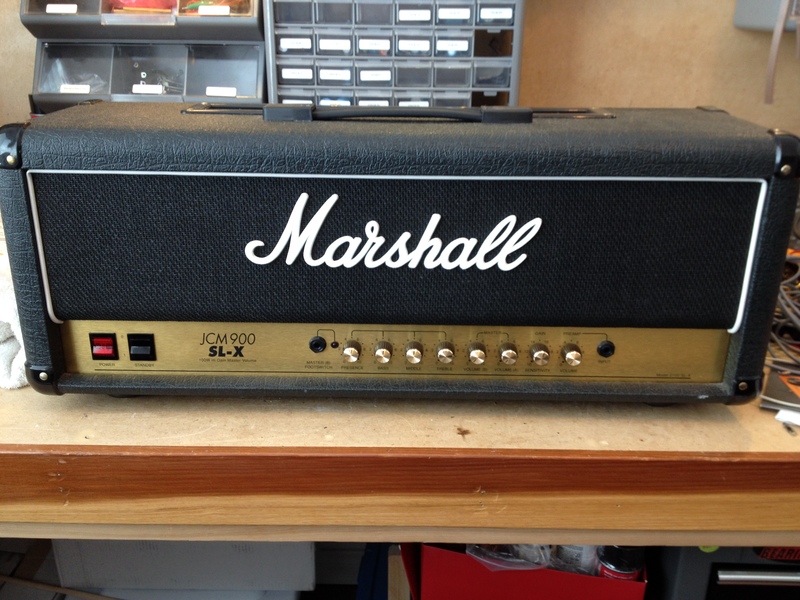 The JCM900 SLX signifies Marshall’s last evolution of the JCM800 Master Lead Series Amplifiers. Added to the production line after the JCM900 was not well received by die hard JCM800 Lead players, the circuit was in theory designed well, however the parts choices were questionable. 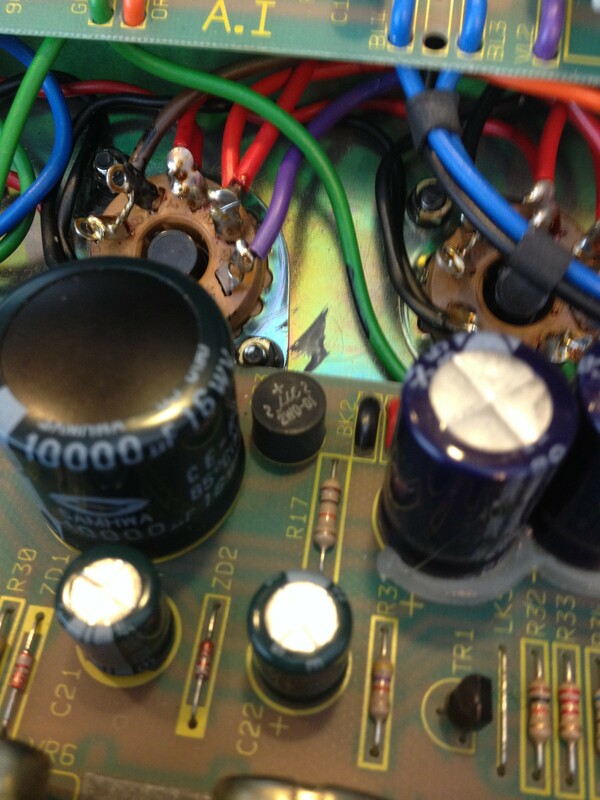 The JCM900 SLX uses a DC power supply to heat the preamp tubes. The rectifier used fits on the PCB, however, its values/tolerances are running at close to max, so they are prone to failure. The amplifier pictured was no exception. Another failure point of this model was the output transformer. The SLX sounds very good when properly working and tubed with a strong set of European tubes, but can prove less than road worthy if not regularly serviced. Part of the tone is pushing the components to the limits so they are prone to failures.